The discussion about the public sector and social networks is no longer objectionable. Today, the presence of governments in social media has proved essential for public institutions to keep updated with digital media trends and to better disseminate their services to citizens. Regardless of the purpose of the institution, having a profile in social media such as Facebook, Instagram and Youtube brings public services closer to the citizen, making service more accessible and more humanized. But there is one particular social network that has been positioning itself on another level with regard to social media and government: Twitter. Twitter has been used on several occasions by public leaders in diplomatic communications, announcements of new politicians, messages on special days and so on. If even the Pope has nine Twitter accounts (each one in a different language), I believe every public institution should have their own. The use of Twitter by public leaders has reached a level so groundbreaking that it was coined the term “Twiplomacy” (or Twitter Diplomacy). State leaders, diplomats and leaders of international organizations have used their Twitter accounts to conduct public diplomacy and bring their communications closer to the public. The term Twiplomacy emerged in 2011 through a study on the use of Twitter by heads of state. The analysis was based on the diplomatic relations that the chiefs established with other heads of state and political leaders. However, the use of Twitter for this purpose reached greater proportions and spread to various government bodies and public organizations, walking one of the paths towards what we call digital diplomacy. According to the U.S. State Department definition, diplomacy is the art of enforcing and conducting negotiations, maintaining relations and resolving issues between nations without hostility and use of force. Digital diplomacy basically translates this concept through digital tools such as Twitter itself. Nowadays, the world’s leading political leaders have an active Twitter account that they use for diplomatic purposes and to engage with their audience and expand their influence. In the study, 951 Twitter accounts were identified as belonging to heads of state, government leaders and foreign ministers in 187 countries. These numbers represent 97 percent of all UN States, combined with an audience of 485 million+ followers. From the G20 governments, all of them have an active Twitter account and six leaders from the G7 have a personal account from the social media. The U.S. President Donald Trump (@realDonaldTrump) is the world’s public leader most followed on Twitter, with over 56 million followers. The German Chancellor Angela Merkel is the only G7 leader that avoids a presence on Twitter, with an inactive account since 2017. In Europe, all governments have a twitter account and in the Americas, only the government of Nicaragua doesn’t have an official account on the social media. To sum up, the countries that do not have a Twitter presence are six: Laos, Mauritania, Nicaragua, North Korea, Swaziland and Turkmenistan. 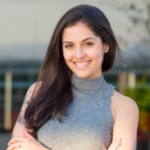 In October of 2018, Brazil faced political-electoral turmoil with one of the most polarized elections that the country faced between the left and the right parties, with the latter winning. Notwithstanding, the massive spread of fake news deeply impacted the way from which we citizens related to politics and public leaders. The elected president will only begin his mandate on the 1st of January, but while he is in the transition period, Twitter has been playing an important role for his election. All the ministries were officially announced via Twitter and his victory was celebrated by some other heads of state through the social media. Presidents from Chile, Israel, Russia, Colombia and Spain congratulated his winning from their official Twitter accounts, strengthening the diplomatic relations between countries. Like everything related to social media, there is some controversy over this ”digitalization” of diplomacy and the exposure of public leaders on Twitter. But regardless of the critics and Twitter public users, it is a fact that social media and, in this case, Twitter, profoundly impact our lives and how we relate to the public sector. 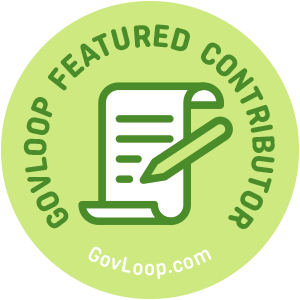 Ana Camerano is part of the GovLoop Featured Contributor program, where we feature articles by government voices from all across the country (and world!). To see more Featured Contributor posts, click here.